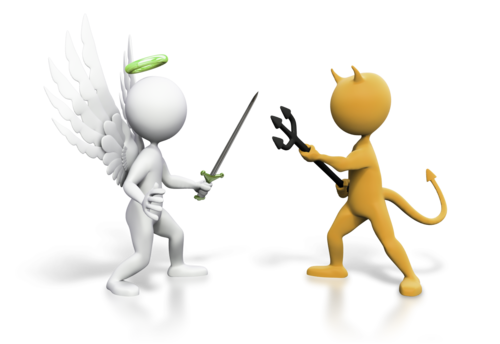 One of the key themes that you will find in fantasy stories is the concept of good versus evil. Sometimes there is a clear deliniation between the two - often represented by widely accepted stereotypes (witches are bad, knights are good) but more and more the lines are being blurred as we accept that often there is a 'dark side' in all of us, or we can 'fall into darkness (Darth Vader) or be redeemed (Malfoy). When you are reading your next fantasy story consider these questions..
How is good and evli represented in the story? Are the characters stereotypically type-caste as good or evil? Does 'good' always conquer 'evil'? How is good and evil symbolised in the story?